You still need to cast. You still need to present flies in such a manner that fish will accept them. But though no one has ever failed to catch a trout because they knew too much about aquatic insects, plenty of anglers have not caught as big a fish, or as many fish as they could have caught, because they failed to understand the importance of matching a hatch. This is particularly true when fishing for large, wild, selective trout—the ones we all really want to catch. 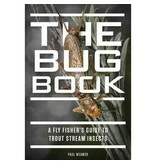 In this book, I try to relieve some of the reticence about trout stream insects that makes many anglers feel inadequate and uneasy. Many excellent books provide very detailed information about specific hatches. But that’s not this book’s goal. This book is written for new anglers who want a basic understanding of aquatic insects or more seasoned fly fishers who want to take their skills to the next level; those who want to know not only if their flies will work but why they’ll work as well. I remember when I was first learning to fly fish, and I read about complicated Latin names or confusing stages of aquatic insect development. I was lost. It was as if the whole fly fishing world was born knowing about these things, and I was left out. 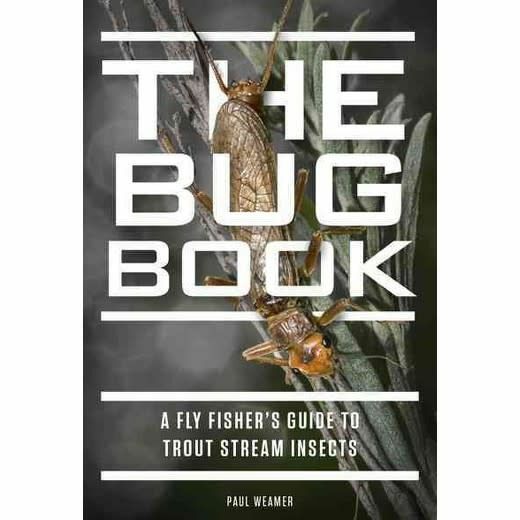 This book’s aim is to provide basic aquatic insect knowledge that will not only help you to understand more about trout stream insects, but it will also help you catch more trout on your next fishing trip. It will help you to understand why you should tie one fly to your leader rather than another to imitate the hatches you encounter. Paul Weamer is a Fly Fisherman magazine contributing editor and the author or co-author of several fly fishing books. He is an accomplished photographer, specializing in aquatic insect macro photography, and has contributed photos to Fly Fisherman, The Catskill Regional Guide, and The Drake, as well as his own and several other writer’s books. Paul is a former licensed guide, working the Upper Delaware and Beaverkill Rivers for trout and smallmouth bass, and Cattaraugus, Elk, and Walnut Creeks for steelhead. He has owned or managed three highly regarded fly shops in New York and Pennsylvania and has been a production tier for numerous guides and shops, including the legendary Dette fly shop in Roscoe, New York. Paul is a contract fly designer for the Montana Fly Company and the inventor of the Weamer’s Truform, Comparachute, Alewife, Bucktail Body, and the Weamer Streamer series of flies. Paul is one of the founders of the Friends of the Upper Delaware River (FUDR), and is a current member of the Outdoor Writers Association of America. He was the 2009 co-winner of FUDR’s Upper Delaware “One Bug” tournament and winner of the 2011 Upper Delaware Council’s Recreation Award for his book about the river. Paul is a Simms Guide Ambassador and member of the product development staff for Simms and Orvis. He belongs to the pro-staffs of Regal Engineering and Daiichi hooks where he designed the Daiichi #1230, Weamer’s Truform Mayfly Hook.